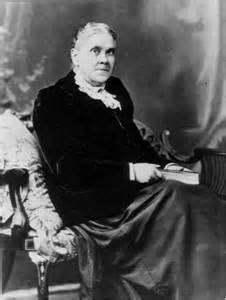 July 16, 2015 marked the 100th anniversary of the death of Ellen G White. The life of Ellen G. White ended on July 16, 1915, at the age of 87 years. She was laid to rest beside her husband in Oak Hill Cemetery, Battle Creek, Michigan. One of the 100 most significant American of all times (according to Smithsonian magazine). The most translated female on non-fiction (over 140 languages). One who wrote on a wide range of subjects i.e. creation, agriculture, education, theology, evangelism, lifestyle, health just to name but a few. One whose writings have been most influential in changing lives (mine included). One whose writing and influence has been instrumental in the establishment of schools, colleges, universities, clinics, hospital and medical centers on several continents. Before she passed away she wrote, “In reviewing our past history, having traveled over every step of advance to our present standing, I can say, Praise God! As I see what the Lord has wrought, I am filled with astonishment, and with confidence in Christ as leader. 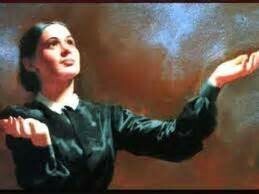 We have nothing to fear for the future, except as we shall forget the way the Lord has led us, and His teaching in our past history.” Ellen G White Counsels for the Church, 359. I am not pessimistic or bemoaning the lack of growth! Christian writers over the years have done studies looking at church growth problems and spiritual conditions in our generation. I know that we as a church have preached the Laodicean message loud and clear. All I am saying is that as we read the Bible, we see that God expects us, His church to a. )”Come follow me”, b.) “Go make disciples”, and c.) “Sin no more”. He wants us to be the light and the salt of the world [in our local communities]. We must revolutionize our thinking, we must share our personal testimonies, we must actively participate in the church’s mission, and we must continue preparing people for the kingdom. Just in case you feel overwhelmed as you seek to be part of the work in Minnesota conference, may I say, “Seek the Lord’s help”? God will communicate to you plans for soul winning. As a conference, let us seek the Lord and we will discover waste lands in our communities that need to be worked. Remember now that God’s call to us is follow Him where He is already working. Recently, I attended a class seminar during the NAD Ministerial Council in Austin TX. I listened to church planting stories and testimonies, and wondered what we can do in Minnesota? Is church planting a viable option? If the stories that I heard were true, showing rapid and exponential growth of churches in some of the regions, then are these methods of church planting something that can be reproduced? Will these methods achieve similar results in Minnesota? What about funding? As I listened to the speaker Tom Evans, and other members of the class who had the experience or are doing church planting I learned there is an understanding that growth in new churches is faster than in traditional churches. I figured this is true, for natural growth by definition is through cell division. I personally think that there is a danger (I may be wrong) when we as a remnant church begin to adopt mega church mentality. Please don’t misunderstand me. Nothing is wrong with mega churches. 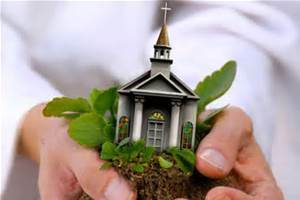 What I am saying is that I think the church of God must grow by multiplying itself into witnessing centers in different location either large or small, as opposed to adding to itself in one location. Does this make sense? If I understand this correctly, this means we must start a church in every culture or population segment where we have no church presence. This may also mean that pastors will begin to have multiple church districts. This also would mean that we, the pastors and the conference, need to allow ordinary church members to do the work of soul winning. Elder Ted Wilson, in his Sabbath sermon at the 2015 General Conference said, “We need a total empowerment of lay people in carrying out the church’s burden of evangelistic outreach”. I think that means that men and women who feel the call of God must accept the responsibility of mission work and wherever possible, organize worshiping groups in localities where we have no churches now. I believe that we must allow men and women from every walk of life to be used by God to start new churches as tent makers. This also may mean we have to return to the house church model (simple church); that we may need to allow our members to meet anywhere with or without trained pastors or paid workers. I believe that the church needs to facilitate relationship building and discipleship making. The “Women Ordination issue” is not a new issue. The Seventh-day Adventist Church has been wrestling with this topic off and on for more than 100 years. [i] Adventist historians say that between 1870 and the year 1900, the church had seen over 20 women receive ministerial credentials, Ellen G. White was among them. Historians have found no record showing that these women were ever ordained. 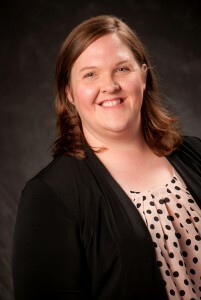 There was in the church, before and during the 2015 General Conference meetings, a lot of discussions leading up to the NO vote at the just ended 2015 General Conference session. The motion that was voted on was a proposal to allow the 13 divisions to each decide for themselves whether or not to ordain women to the gospel ministry within their own territories. The vote by secret paper ballot was 1,381 opposing and 977 in favor. This vote does not allow Divisions or their lower entities to ordain women to the gospel ministry as they deem fit. However, this vote does not change the policy on commissioning women pastors. We as a conference will respect the decision of the world church. I think the question we need to ask now is, what is next? To answer, I will quote Elder Daniel Jackson. I think his remarks sum up the North American Division position and thus the Minnesota Conference’ position. In 2005, the South St. Paul Hispanic Seventh-day Adventist Church was facing a dilemma brought on by the success of their mission. So many people were attending church that they had to set up folding chairs in the aisles. Worried over the fact that this was a fire code issue, the members and Pastor Eddie Valdez met to pray and to decide what to do next. Through the discussion, an inspirational answer came to them. The Hispanic population in the Northeast part of the metro area was growing, but there was not a Spanish speaking congregation established there. In fact, several of the members lived in that area themselves, and had to drive some distance to church. If those who lived in the area would be willing to branch out and start a church there, the work would be multiplied and the parent church would not be so full as to discourage new growth. Oscar Ramos, one of the members who was at the meeting, was inspired by this vision. His family lived in the Northeast, and he was willing to work hard to build the new congregation. Soon after the meeting he had a dream in which he saw five other leaders who would join him. Each of the others did join the effort, and that core group soon had eight or nine families ready to make the transition. 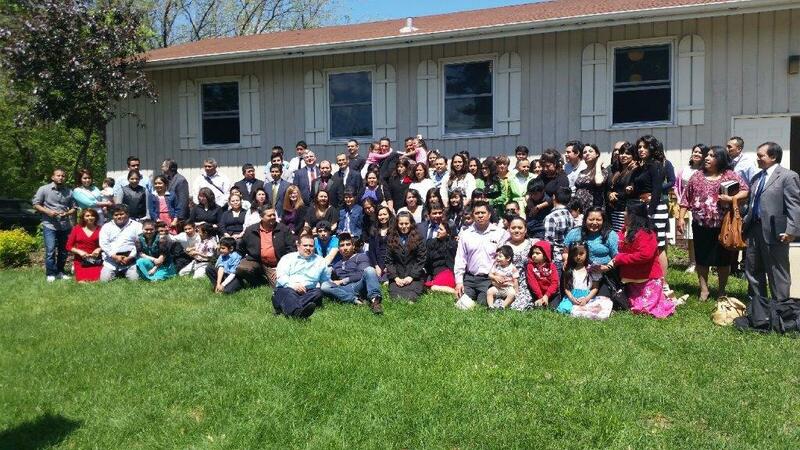 On June 6, 2006, they held their first Sabbath service in a rented church in Fridley, MN. The Northeast Seventh-day Adventist Church, or NESDA, grew over the years, and became an official church in 2013. Today they have over 75 members, with about 100 attending on a weekly basis. As the Lord blessed, they prayed for their own building, and raised money toward its purchase. They looked at many different options, but nothing seemed to work out right. Despite their discouragement, they persevered in prayer and in raising money. One day early this year, two church members, Rojelio Sanchez and Magdiel Teyul, independent of each other, noticed a for-sale sign on the lawn of a church in their neighborhood. The church was only about a mile from their rented church in Fridley, so they passed the word on to Pastor Guillermo Aravella, who contacted the Minnesota Conference office. Within three days of the sign going up on the lawn, the pastor and several church members met at the church with Hispanic Coordinator Elder Yulian Tinoco, VP for Finance Reggie Leach, and Property Manager Doug Inglish. The prospective church was very accommodating, in excellent condition, and had a parsonage next door. An agreement drawn to make an offer, which was immediately accepted, and closing was held on May 13, 2015. The congregation who sold the building had a second offer, which NESDA did not know about until later. A Muslim congregation had offered them any price they would name for the building. They prayed about it, and decided to accept the offer from NESDA. Since then they have seen the appreciation of their new building in the way that NESDA has gone about sprucing up the landscaping and making repairs to the parsonage, and the sellers feel they made the wise choice. The day after closing, many of the congregation came out to see their new building and offer prayers of thanksgiving. They held their first service in the church on May 23, and had a special service on May 30, with Elder Inglish preaching the sermon and offering a prayer of consecration for the church. “Now we can do what we want to do, without asking permission. This will enhance our mission, and make us better able to serve our God,” says Pastor Arevalo. 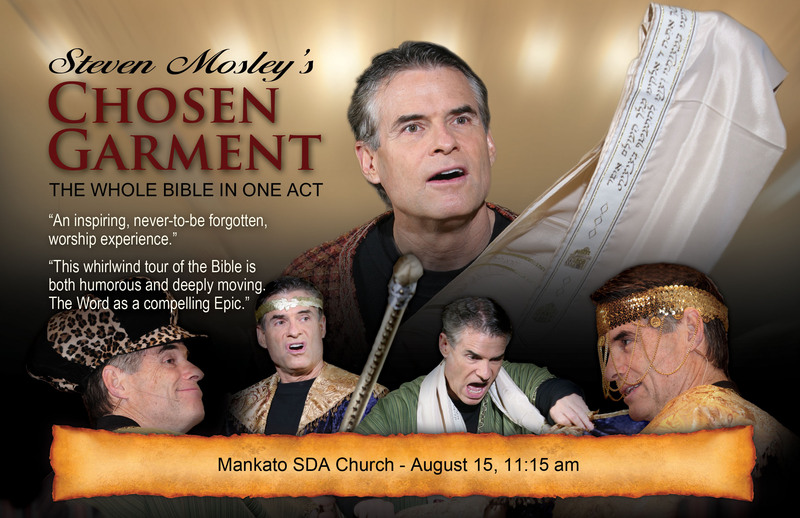 On August 15, Steven Mosley is coming to the Mankato Seventh-day Adventist Church to do a presentation called “The Chosen Garment.” We would like to welcome members from around the State to attend. For further information, feel free to contact Pastor Robert Brauer at rcbrauer@gmail.com.